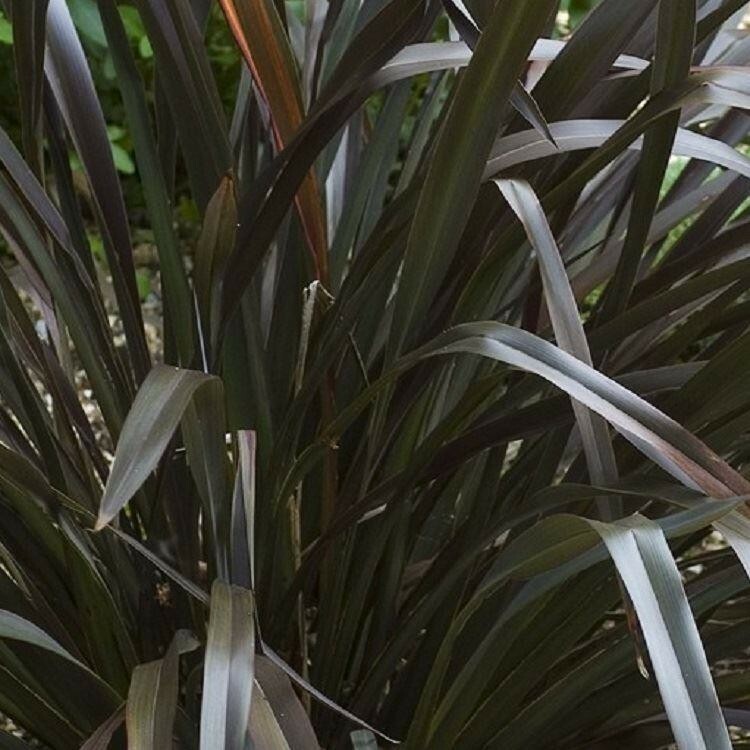 A small, dwarf evergreen flax from New Zealand reaching just 90cms tall. 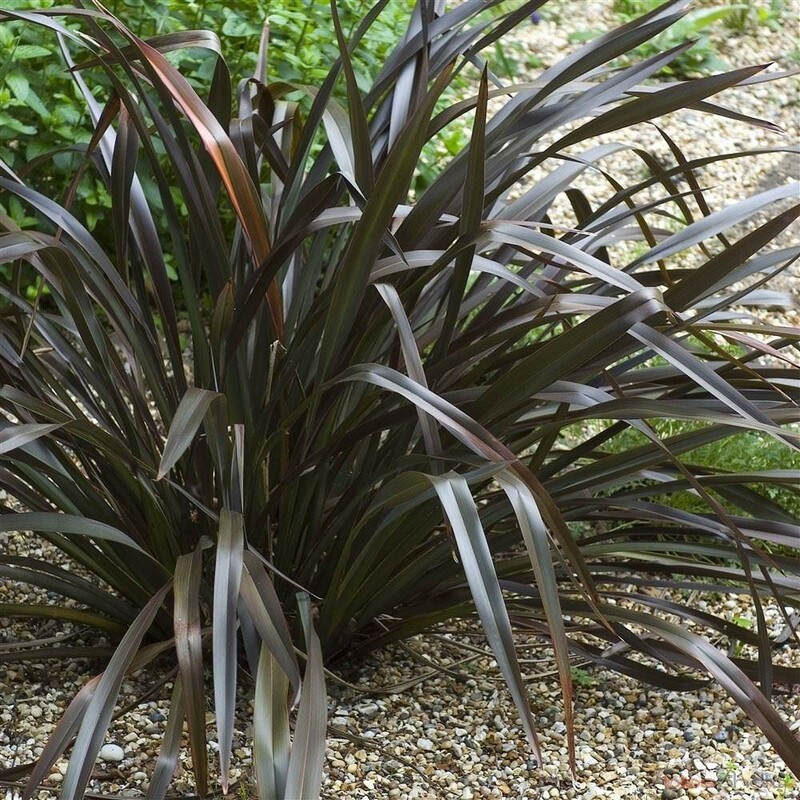 One of the darkest in colour, the foliage is deep purple to black and gracefully arches over. The perfect evergreen for a stunning centre piece in a container, or as a specimen plant in the border, providing a fabulous contrast to lighter Phormiums, grasses and silver leaved plants. Large bronze red flower spikes occur in summer on mature plants. Plant in any well drained soil in full sun. Supplied in approx 2-3 Litre containers.